The Tonight Show Starring Jimmy Fallon has a penchant for bringing different types of celebrities together, and last night Fallon decided to play Pictionary with a motley crew. Check out Rose Byrne, LL Cool J, Fallon and Big Sean giving the classic game a go, below. Jimmy Fallon is pretty confident in everyone’s Pictionary skills, so confident in fact that he doesn’t explain the game to the audience or contestants before they begin the round. 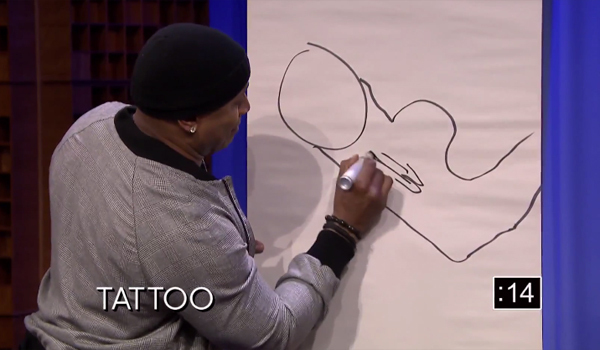 Unfortunately, he doesn’t count on LL Cool J admitting that he is totally lacking in the drawing department. Luckily, LL Cool J doesn’t have to go first. Byrne does, and she proves she is at least competent enough to get the idea of a teaspoon across. 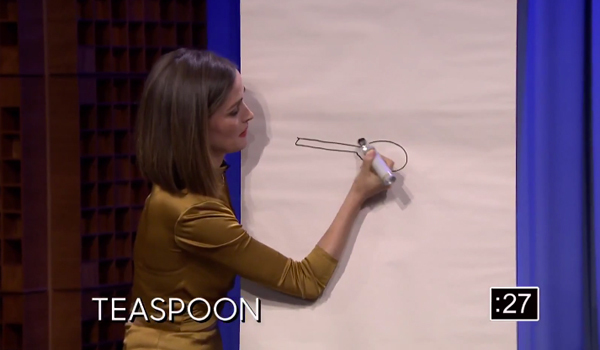 Eventually, they get into a double header where Rose Byrne proves she is actually a fair hand at drawing. Fallon gets the answer first, and the main takeaway from the big event is that the NCIS: Los Angeles actor really should never commit to any drawing-oriented games in the future. This isn’t the first time Jimmy Fallon and company have played Pictionary on the hit late night series. Recently, we also got an equally weird game featuring Jerry Seinfeld, Martin Short and Miranda Sings. Fallon’s an equal opportunity game player, an you are just as likely to catch him playing musical beers, lip sync battle, password, or flip cup. Despite the fact that games are a big part of the late night series, seeing random celebrities play popular games has not gotten old, yet. For a good time, tune in to The Tonight Show Starring Jimmy Fallon on weeknights at 11:35 p.m. ET on NBC.